Fia and her sister Anna tragically lost their parents in a car accident when they were just five and seven years old respectively. Anna is blind and so Fia has always taken care of her—that is her job. Fia, born with perfect instincts, is thrust into a role that has her committing small crimes—pick pocketing, computer hacking, etc. but then she is tapped to commit murder. Sent to kill Adam, she listens to her instincts for the first time in months and spares his life. Anna can see into the future only her gift is not as strong as Fia’s. However, she is the only seer who can see into Fia’s future—when she allows it to happen. Fia will do anything to protect her sister and get her away from the Keane Foundation. Drawn into present day, readers are transported through Fia’s story into a world that is our own. We can walk down the street and see the sites referenced throughout the story. Having read many young adult novels set in alternative societies, reading one that is a psychological thriller in our own world is refreshing. Fia is a strong and likeable character, despite what she has to do to keep her sister alive. She actually reminds me a lot of Tris, from Ms. Roth’s Divergent series. Told in a combination of flashbacks (Anna and Fia’s) and present day chapters, some readers might find it a bit to get used to if they have not read these sorts of books before. However, now that I have finished the whole book, the flashbacks add so much to the story; it would not be the same without it. I picked this book up on a Sunday morning—not sure what to expect. I read the synopsis and it sounded interesting but I have never read a book by Ms. White. Let me just say, I will be going back to read her other series—Paranormalcy. 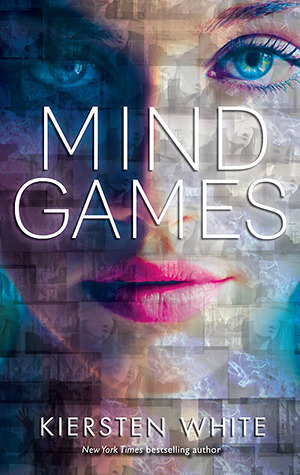 I highly recommend Mind Games to those who like a thriller, mystery, or maybe those seeking a break from alternative worlds.